The NSRN Online team are responsible for everything that appears on this website and the NSRN Blog. Each member of the team is at various stages of their research, and all have distinct roles within NSRN Online. For information on those involved in the day-to-day running and overall vision of the NSRN as a whole, please see the NSRN Directors page. Press queries should be directed to Lois or to any of the NSRN directors. For email addresses, please follow the hyperlinks at each person’s name. Suvi began as the Managing Editor of NSRN Online at the beginning of 2016. She maintains the NSRN website. Suvi is a PhD candidate of cultural history at the University of Turku, Finland. She is working on a dissertation unraveling “lived nonreligion” of unbeliever women in the nineteenth-century United States. For more information about Suvi and her research, see her homepage. Jacqui is a Deputy Editor of NSRN Online and, together with Joanna Malone, co-edits the NSRN blog. Jacqui is also responsible for the commissioning of blog posts relating to the sociology of non-religion and organised unbelief, and the publication of upcoming events in North America to NSRN online. Jacqui is currently working towards her PhD in sociology, with a focus on nonreligious identity and community. Her dissertation is an ethnographic exploration of a nonreligious congregation, The Sunday Assembly. She is interested in religion and culture more generally as well, and works as a research fellow at the American Mosaic Project where she uses survey data to explore civic engagement and social boundaries among the religious and the nonreligious. See here for publications and projects. Joanna is a Deputy Editor of NSRN Online and, together with Jacqui Frost, co-edits the NSRN blog. Joanna is also responsible for the commissioning and publication of NSRN blog posts. Joanna is currently working towards her PhD in Religious Studies in the University of Kent, as part of the Understanding Unbelief Programme (for more information please visit the programme’s website). Joanna’s PhD research will qualitatively explore the experiences, understandings and significance of non-religion for older adults living in the UK and how this manifests itself in everyday life. The research will examine the nature of older adults’ non-religious identity, working with older adults from a range of different ethnic and social backgrounds, and who do not participate in a non-religious organisation in the UK. Nathan provides editorial support for the NSRN blog on research-related posts with an historical theme. Nathan is a historian of atheism, race, and racism. He is the author of Race in a Godless World: Atheism, Race, and Civilization in Britain and the United States, 1850-1914 (NYU Press and Manchester University Press, forthcoming 2019). He is currently a postdoctoral fellow at the Max Weber Centre for Advanced Cultural and Social Studies at the University of Erfurt, Germany. Ryszard is responsible for the commissioning of NSRN blog posts relating to nonreligion, policy-making and the law. Ryszard has an MA in Religious Roots of Europe from the University of Copenhagen and a BA in Liberal Arts together with an LL.B. equivalent from the University of Warsaw. His main research focuses on the ways in which law exercises a constitutive effect on religious and non-religious beliefs, and the ways in which states manage to include (or exclude) different religious groups including humanists, unaffiliated, agnostics and atheists in both historical and contemporary perspective. In the area of policy-making, he is striving for a more sustainable social environment. Josh is a former Debuty Editor, current Assistant Editor of NSRN blog. Josh is responsible for the publication of upcoming events to NSRN online, and the commissioning of event reports for the NSRN blog. Josh completed his PhD in Sociology at the University of Kingston London in 2017. His research focused on the recent phenomenon of godless congregations, using the Sunday Assembly London to develop broader understandings of the nature of belief, community, belonging, wonder and atheist identity. His current research focuses on mapping the diversity of unbelief in Northern and Central Europe by using survey, social media and interview data across six countries (UK, Netherlands, Germany, Poland, Norway, and Romania). Ron is responsible for the commissioning and publication of NSRN blog posts. Ron Dart has taught in the Department of Political Science/Philosophy/Religious Studies at University of the Fraser Valley (Abbotsford BC) since 1990. Ron was on staff with Amnesty International in the 1980s, and he has published more than 35 books, the most recent being, George Grant: Athena’s Aviary (2018), Erasmus: Wild Bird (2017) and The North American High Tory Tradition (2016). Ron is currently working on a book on Hermann Hesse. Emilio is responsible for the commissioning blog posts relating to political theology and philosophy of religion for the NSRN blog. porary society. His recent interests focus on analyzing the existence of relations of ‘faith’ in nonreligious and secular contexts. Janet provides editorial support and review editing services for the NSRN blog. 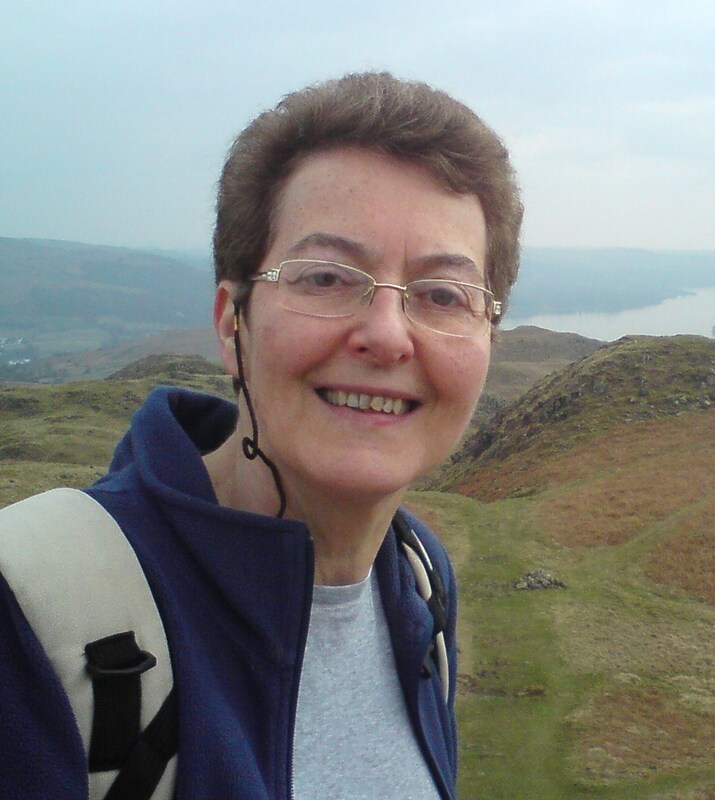 Janet gained her PhD on Christian and disaffiliated women in 2010, as a mature student at Lancaster University UK, followed by a period as research associate on the Young Atheists Project. Now an independent researcher, she has published journal articles and/or book chapters on topics ranging from Christian women affiliates and disaffiliates and forms of nonreligion to multi-faith chaplaincy, Anglican monasticism and insider/outsider issues. She is also part-time adult education tutor in Religious Studies in Cumbria. 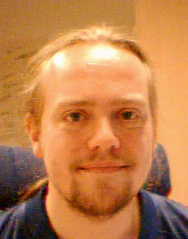 Jonathan is responsible for maintaining the lists of current researchers and postgraduate researchers in the NSRN Research Directories. If you think you should be listed, or know of others who have been omitted please do get in touch. Jonathan is the Research Co-ordinator for the Ritual, Community, and Conflict project at the Centre for Anthropology and Mind, University of Oxford. Prior to this, he completed his PhD. in experimental psychology and philosophy of religion at the University of Otago, New Zealand, with a thesis entitled Scaring the bejesus into people: the effects of mortality salience on explicit and implicit religious belief. His research interests include the effects of ritual participation on social behaviour, the role of existential anxieties and cognitive biases in religious belief, the measurement of religious belief, and the philosophical relationship between naturalism and theism. More information about Jonathan’s work here. Ernils is responsible for the commissioning and publication of NSRN blog. Ernils is a PhD candidate in the history of religions at Uppsala University in Sweden. He holds BA and MA degrees in the history of religions from Uppsala University, as well as an MA degree in international relations from Waseda University in Tokyo. In his dissertation research he studies how the concept of “religion” is negotiated in Japanese postwar court rulings. He is also interested in contemporary Japanese politics, in particular issues related to Shinto lobby groups and constitutional reform. Scott is responsible for the commissioning of NSRN blog posts relating to the relationship between religion and nonreligion. Scott has recently completed doctoral studies at the University of Manchester. His thesis explored the notion of the ‘cyborg’ and the challenges that it poses to understandings of humans, assessed through theological anthropology. This investigation reflects his wider interests in theology and posthumanism, which spans to cover questions about popular culture, technology, religion, and secularity. Sharday is responsible for the commissioning of blog posts relating to North America. Sharday (BA [Art History, Sociocultural Anthropology], University of Western Ontario; MA, PhD [Cultural Studies], Queen’s University) is Assistant Professor (Contemporary Religious Context) at the School of Religion at Queen’s University, Kingston, ON. She studies the discursive construction of spirituality and religion as well as concepts of nonreligion and secularity. Specific interests include the study of “new religious movements” [NRMs], ritual, and religion and/as media. Her major line of research continues to be about the relationship between boredom and spirituality – the modern concept of boredom as a spiritual crisis, and whether boredom motivates religious or spiritual seeking, switching, and leaving. 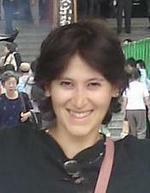 Stefania provides editorial support and review editing services for the NSRN blog. Stefania Palmisano is Lecturer in the Sociology of Organization at the University of Turin, Italy, where she teaches the Sociology of Religious Organizations. She is Visiting Research Fellow, Department of Politics, Philosophy and Religion in Lancaster University (UK). She also has been Visiting Research Fellow at the Department of Sociology in Boston University (USA). At the moment she is doing research on new monasticism and its relationship with monastic tradition. She is also editing a book in Italian on the study of relations between religion and economics. Recent publications include: Ambiguous Legitimation: Grassroots Roman Catholic Communities in Italy and Ecclesiastical Hierarchies (Temenos. Nordic Journal of Comparative Religion); New Monastic Organizations. Innovation, Recognition, Legitimation (Journal for the Study of New Religions); Catholicism and Spirituality in Italy, (Journal of Contemporary Religion). Jesper is responsible for maintaining the NSRN’s dynamic directory of Resources for teachers and students of Nonreligion and Secularity. If you are aware of any omissions please do get in touch. In 2011, Jesper defended his PhD thesis on modern Satanism entitled Between Darwin and the Devil: Modern Satanism as Discourse, Milieu, and Self, putting a provisional end to years of studying religious and nonreligious Satanists. He is currently an associate professor at the Programme for Teacher Education, NTNU, Trondheim, Norway, concentrating on social science and religious studies related to education, non-religion and alternative currents. He has published extensively on Satanism and controversial religions, but his research interests include religion and science, nonreligion and secularity, religion and popular culture, and the interface between education, methodology and theory. For a list of publications, see Christin; for contact, see academia.edu. Fernande is responsible for the commissioning of blog posts relating to South Asia, Islam and secularism for the NSRN blog. Fernande first completed a BA in Cultural Studies and a BA in Spanish language and literature at the Universiteit van Amsterdam, before proceeding with the MSc in Social Anthropology at the London School of Economics and Political Sciences (LSE). She has recently submitted her PhD thesis to the Anthropology Department at the LSE, with the title The ethical life of Muslims in secular India: Islamic reformism in West Bengal. The thesis seeks to explore the nature of ethical life of a marginalised minority. It focuses in particular on the everyday experiences and vernacular conceptualisations of secularism, and their relationship to the contemporary transformations in Islamic belief and practice. For more information, visit her Academica.edu page. Tim is responsible for the commissioning of blog posts relating to social policy in the North Atlantic West and social theories. Dr Timothy Stacey is a graduate of and Research Assistant at the Faiths and Civil Society Unit, Goldsmiths, University of London. Against a backdrop of a perceived decline of solidarity in secular modernity, especially in the North-Atlantic West, Tim’s doctoral thesis explored the sources of solidarity in religiously plural spaces. The thesis combined a genealogical exploration of constructions of solidarity in theology, philosophy, sociology, anthropology and social policy, with an ethnographic study of groups seeking to develop solidarity in London. Tim is interested in research into and visions of solidarity that defy binaries such as religious/secular, embodied communitarian/cartesian individualist, and socialist/capitalist. His aim is to undertake research that strengthens solidarity by connecting with policy makers and activists. Galen is responsible for the commissioning and publication of NSRN blog posts relating to nonreligion and spirituality. 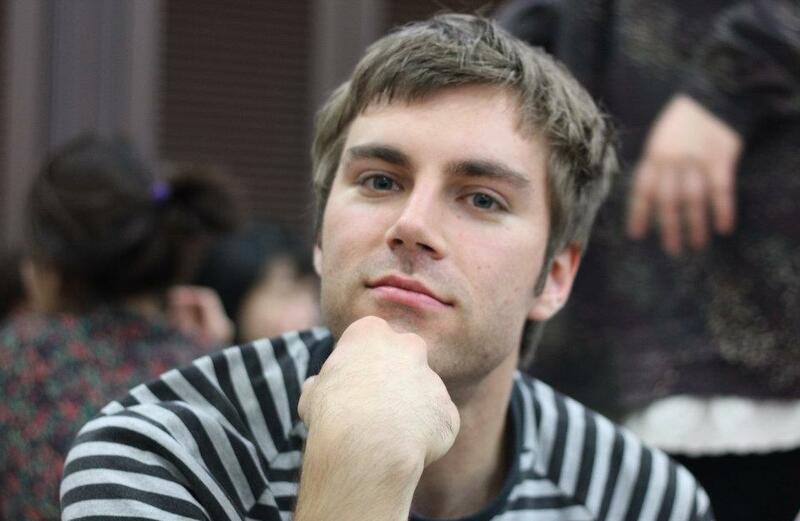 Galen is currently working towards his PhD in Cultural Studies at Queen’s University, Canada. Although he has a broad and diverse range of academic interests, his work could be classified as residing at the intersection of political philosophy, religious studies and social theory. For his Master’s, he sought to articulate and analyze how Canadian millennials who self-identify as “spiritual but not religious” conceptualize the relationship between their individual spirituality and their commitments, or lack thereof, to a number of social justice issues. For his PhD, he is continuing to research the basic values, belief-systems, and practices that inform contemporary spirituality among millennials in Canada in order to discern its social and political implications, broadly understood. For more information visit his website. Page updated February 5, 2019.